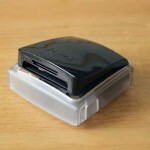 Unlike man, not all CF (Compact Flash) cards and card readers are created equal. Indeed, this is a big deal if you make your living peering through a viewfinder. 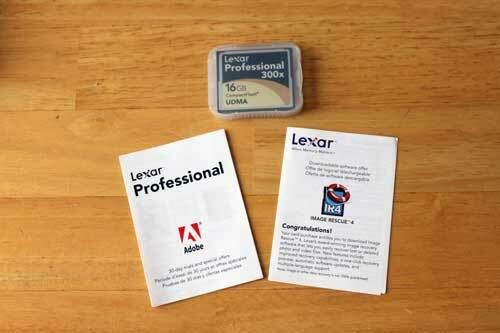 Lexar prides itself in manufacturing professional level memory products. Read on and discover if the products live up to the hype. UDMA: The Ultra Direct Memory Access (UMDA) protocol allows compliant devices to capture images faster and more efficiently manage that content later in the digital imaging workflow. If time is money, then improving one’s overall workflow efficiency is like money in the bank. 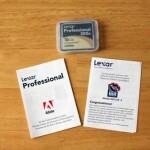 UDMA CF Card: The Lexar Professional 300x CF memory card is designed to provide reliable, professional-level performance with a guaranteed minimum sustained write speed of 300x (45MB/s). 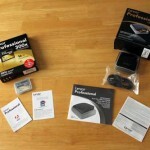 For comparison purposes, The normal non-UDMA CF cards I use have average write speeds which range from 15MB/s – 30MB/s. One of the technological advantages to using UDMA is the sustained write speeds. This is particularly important when recording video on one of the new hybrid DSLR cameras from Canon (5D Mark II, 7D, T2i). 1080p video is very demanding in terms of writing speeds and bandwidth. Of course stills can be a problem as well when you are using these same cameras. Faster write speeds will help the camera to keep up during those multi-frame moments when speed matters. 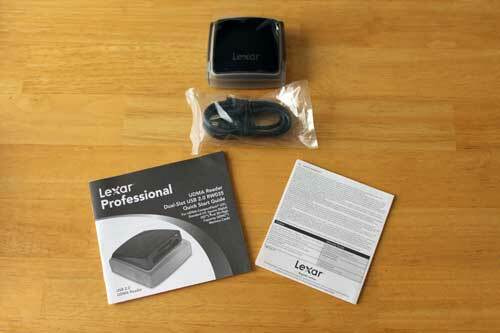 UDMA Card Reader: The Lexar Professional Dual-Slot USB Reader is designed to be a high-performance reader with a compact and portable design to compliment Lexar’s professional CF and SD memory cards. Another advantage to using a UDMA compliant device is found in the transfer of the recorded content to your computer and/or archival device. UDMA CF Card: In order to conduct an un-scientific test, I took a series of pictures with my Canon 5D Mark II. I took a few single stills and then changed to the continues shooting mode and found that the Lexar UMDA card had no problems in either mode. Then I recorded some 1080P video with no glitches or hiccups. After testing the card on the 5D Mark II, I switched cameras and tried the card in the high performance Canon 7D. Once again, no problems with single shot stills and video, but the real test would come with continuous shooting on the 7D. This camera with its dual processors is capable of shooting 8fps (frames per second) in continuous shooting mode. Considering the fact that, when shooting in RAW, the files can be over 18 mega pixels per file, this would prove to be a challenging test for the Lexar. 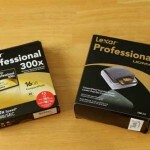 Once again, the Lexar performed well without a glitch or hiccup. Very impressive. 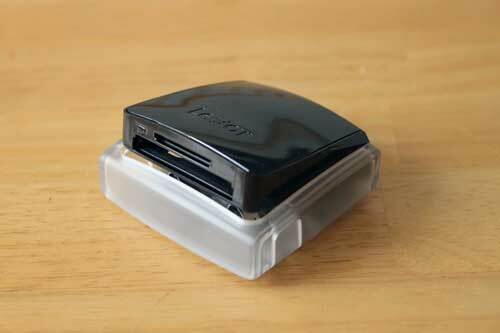 UDMA Card Reader: I must confess, my past non-UDMA CF card readers have been very slow and subsequently caused extended periods of sitting in front of the screen waiting for the files to transfer. 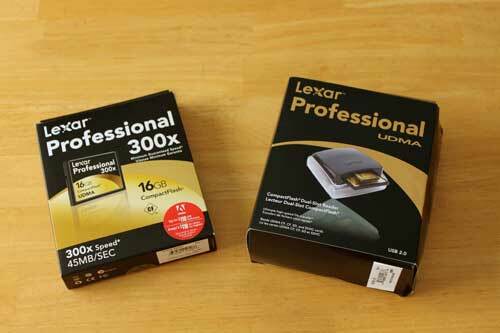 The Lexar UDMA was like driving a race car after being behind the wheel of golf cart. The files transferred in no time. It was at least twice as fast as my non-UDMA Reader. Color me very impressed. Another nice thing about this reader is the fact that it is compact and easily carried along on your shoots where every inch is critical for extra gear. 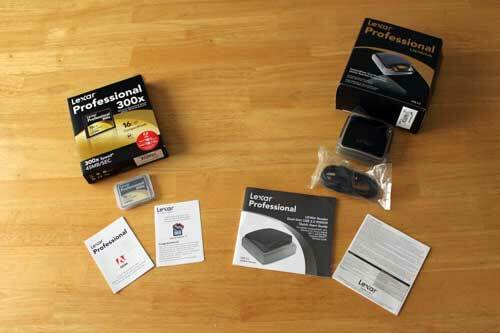 The Lexar professional UDMA CF Card and Reader are both very high quality products that deliver as promised. The card is more expensive than comparable non-UDMA cards. This higher cost is justified if you consider your time to be valuable. 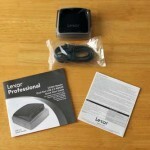 I am awarding the Lexar UDMA CF Card and Reader an excellent rating of 8 out of 10 in our MyMac.com Rating System.